When you’re throwing a bachelorette party, you can start having a great time the minute you get off the plane. With a professional limousine service to assist you, you can start getting 5 star treatments when you arrive in town, and you’ll begin your travel to your hotel destination in style. Having a limo, party bus, stretch SUV limo, or a rental car pick you up from the airport is going to shock the bride-to-be, and it allows you to start the party early, having drinks and fun. You can have this same vehicle take you out all over the town for the evening, so no one has to worry about drinking and driving, and so you don’t have to load in and out of taxi cabs all night. Everyone can ride together in one vehicle, and you don’t have to worry about having containers of alcohol in the vehicle. All of the professional services have certified drivers that are able to drive while passengers are drinking. The party doesn’t have to stop in between clubs and bars, and this is going to be a night the bride will never forget. You will arrive up to every destination like a VIP, in a stylish and modern limo. There are options available for small parties of seven or less, and there are buses that will fit up to 30 passengers. The more people you invite, the bigger the vehicle will need to be. Inside the vehicles are going to be lighting, music, a bar, and comfortable seating for everyone. You don’t have to worry about getting on dirty buses or shuttles, and you’re going to show the bride to be a good time in a luxurious ride. There are many activities that you can do not only at night, but also during the day. You can drive around to different pool bars, shopping, eating at fine restaurants, and anything else that the bride wants to do. 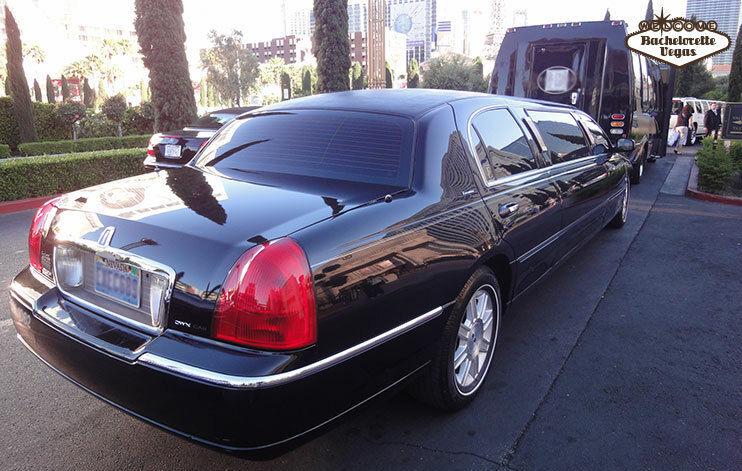 You can plan your entire party around riding around on the Vegas strip in your party limo or bus. Take the bride to get her nails done, to go to the spa, or to a special show or event that is going on around town. You can use the transportation for all of your travels throughout the stay, and even to go back to the airport. If you’re going to take one of your girlfriends to Vegas for a bachelorette party, you can have her feel like she’s getting first class treatment from the moment that she arrives. By choosing a limo or bus, you can show up at all of the day clubs and night clubs in style and you don’t have to worry about driving around the entire time that you’re there. Just load up, enjoy your ride, and listen to music and enjoy beverages while you’re driving down the strip. With personal transportation, she’ll never forget this trip and she’ll feel like the center of attention the entire time, as everyone has an amazing experience.